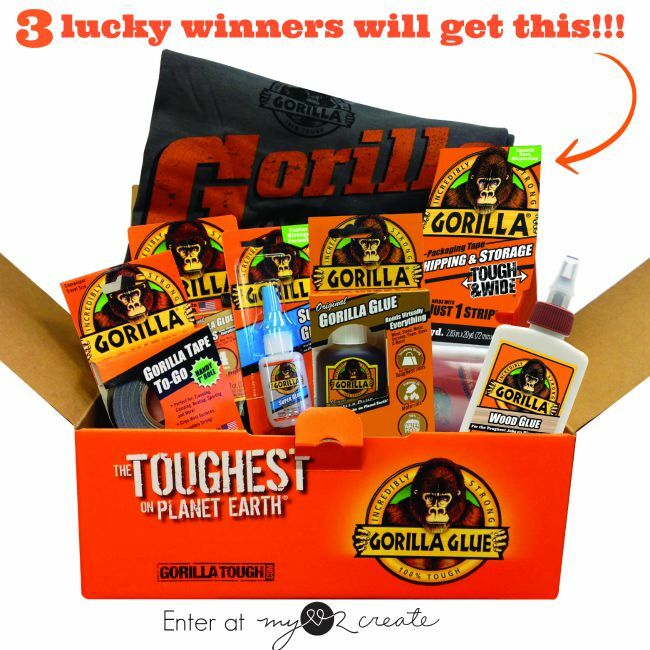 I am thrilled to be hosting a giveaway today with Gorilla Glue! 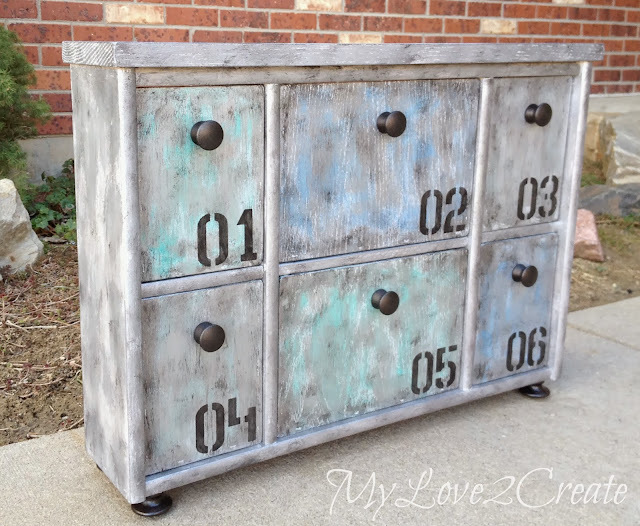 If you read my blog you know I love Gorilla Glue products and use them all the time, especially their wood glue, so I am thrilled to share their products with you! 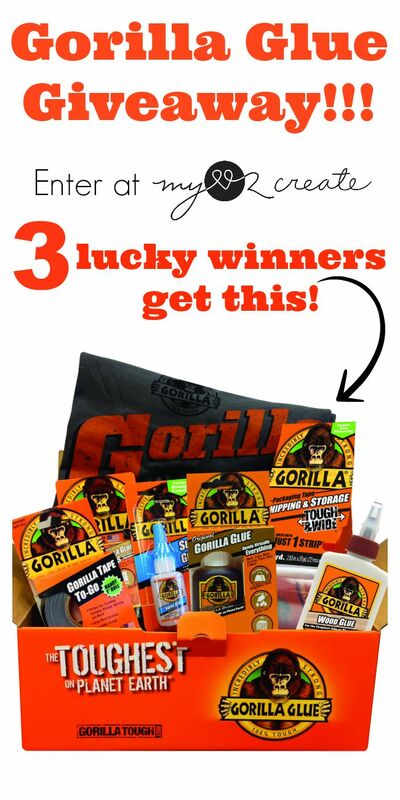 Gorilla Glue has generously offered to giveaway THREE Gorilla Glue Tool Boxes. Yes, that means three winners! Just look at all the cool stuff you could win! My Faux Metal Upcycled Shelf which I used both Gorilla wood and Super Glue to complete. 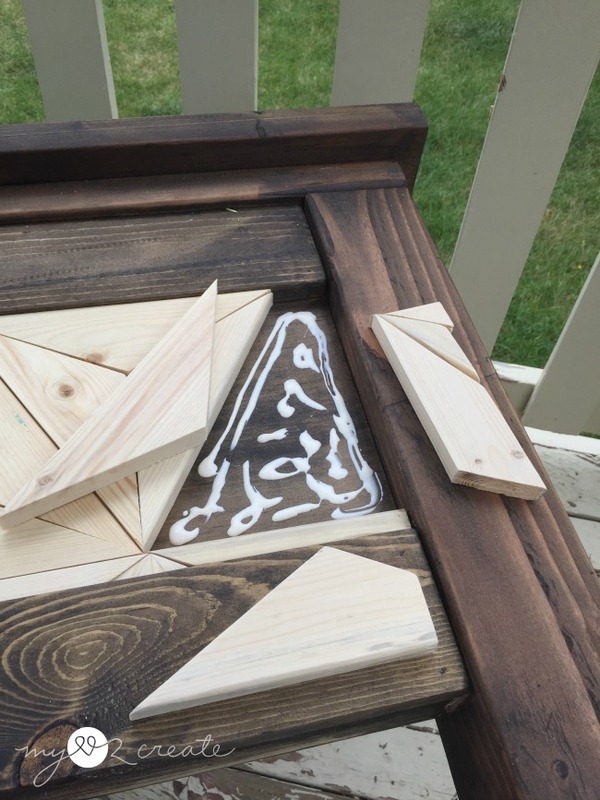 And of course for my Farmhouse Storage bed I knew I could count on Gorilla Wood glue to hold in my geometric pattern perfectly! So lets get going with the giveaway! The giveaway will run from 12 am (Mountain time) Wednesday September 23rd to 12 am Wednesday September 30th. I will select three random winners from all eligible entries. Winners will be notified via email and will have 48 hours to respond and claim their prize. 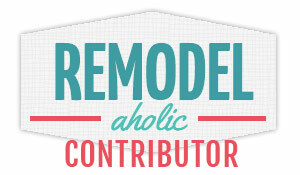 Leave a mandatory blog post comment answering my question about Gorilla products. All other entries are bonus entries. Thanks for entering and Best of Luck! I've used Gorilla Glue...love it. Thanks for the giveaway! I know I love the wood glue, and I would love to try the clear repair tape! I love gorilla glue. It saved my life a bunch of times. I love gorilla glue but have only used the wood glue so far. I would love to try the other kinds too. I have never used Gorilla glue and would love to try it. I've used the original as well as the wood glue. Funny story... the first time I used the original I didn't think/realize the glue would expand as much as it does and I'm prone to being a bit heavy handed when it comes to glue (more is better, right?). As you can imagine, I had glue all over the place - what a mess! 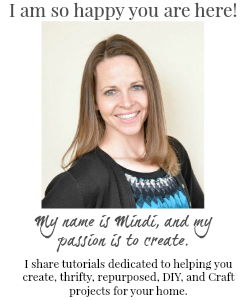 Thanks for the opportunity - my fingers are crossed! I've used the original Gorilla glue but would like to try the tape and wood glue. I did not know Gorilla Glue had such a variety of products. I use original Gorilla Glue often. It would be fun to see what the others can do. I love the Gorilla wood glue! I have never used this glue. I would like to try several of them but to start I think I would try the wood glue since that's what I use the most. I CAN'T IMAGINE LIFE WITHOUT GORILLA GLUE!!!!!!!!! I've never tried Gorilla Glue, but I would really like to! Gorilla Glue is awesome stuff! I use the wood and the super glue. Didn't know they had tape also. Thanks for the chance to win!! I used Gorilla glue to glue two pieces of wood together and boy does that stuff work! I love it! I'd want the wood glue. I go through a lot of it. I have never used Gorilla glue, but the assortment you showed will help a lot with some simple wood projects I'd like to attempt! 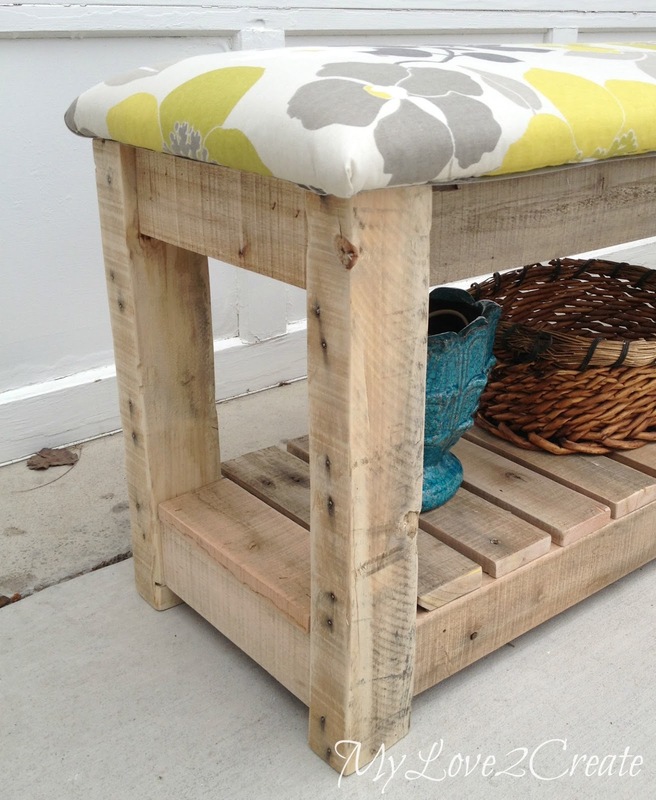 I would love to try the wood glue on a couple of side tables that I have that need repair. I have never used Gorilla Glue but would love to try it. I do lots of projects where it would come in handy.